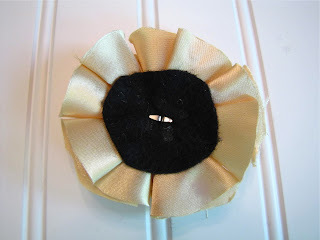 I've been making a lot of flowers lately so yes, this is yet another fabric flower tutorial. I always see fabric flowers these days when I'm out shopping on clothes or home decor and that usually temps me to go home and try to make them myself. Here's how I made this one. First, cut out several different size circles. My largest one is about 3". I just put my circle template on top of several layers of fabric and started cutting. No need for perfection. Second, I folded the circle in half. Third, take each corner of the folded circle and pull it to the middle of the open side. One going one way... and the other going the other way. Hold them together using just a little hot glue. If you use to much they won't be "fluffy". Then make a bunch using your 3 different sizes of circles. 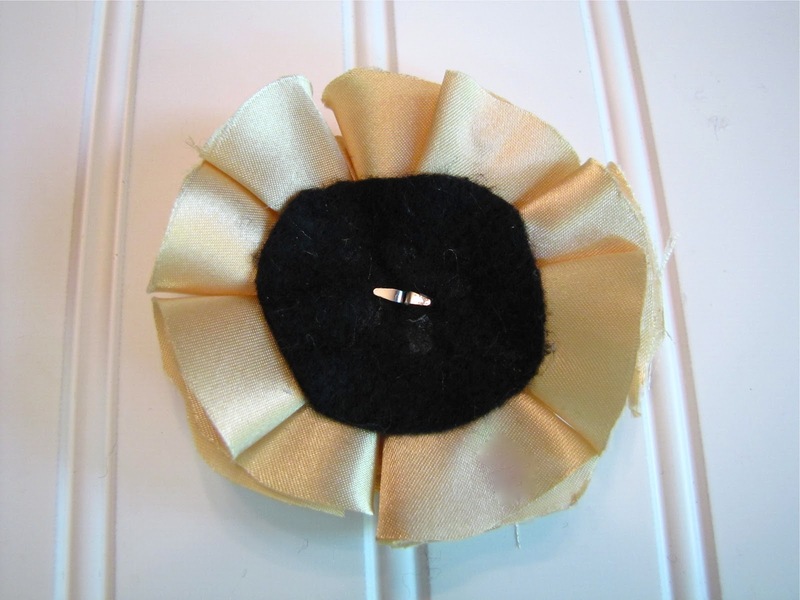 I cut a piece of felt into a circle and used that as a base to glue my folded circles to. Start with the large ones and stack on the small. I used a gemstone brad from Hobby Lobby to embellish the center. I added hot glue to the back and poked it through the fabric. Flatten the back of the brad like this. Then hot glue your choice of clip to the back. I like this one with both the clip and pin. 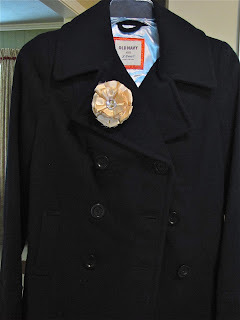 Then you can pin it to your outfit. 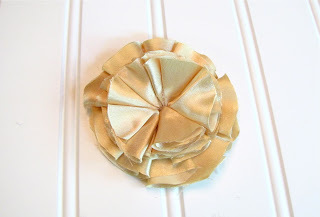 This one's on a coat but it would look great on a dress, shirt, bag or even on a headband. So there you go. Now it's time to make your own!